Aronia is the name for a very dark berry, native to the Americas, but far more popular in Eastern Europe, where its juice is known to help people with heart conditions. When I lived in Poland, it was a fairly popular juice drink, and people commonly told me it was good for the health. I also heard it was far more popular in Russia. I tried it for the first time in Poland, and the taste is extremely tart. 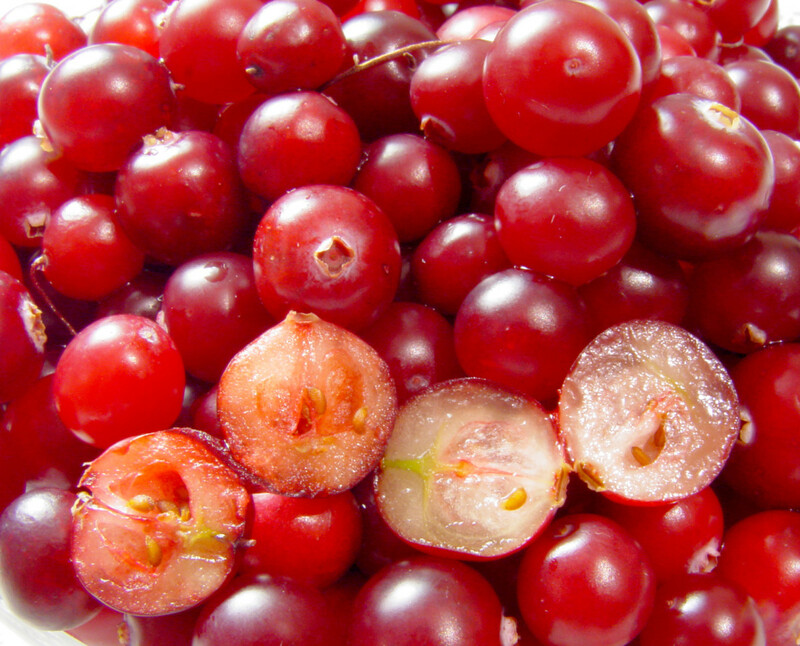 The natural juice is best sweetened, because the juice itself, like cranberry juice, is just too strong-tasting. Sweetened, it tastes a bit like a cross between blackberry and blueberry, although probably not as fragrant as the latter. The juice has a very dark purple color. Aronia berries have the highest levels of natural antioxidants of any fruit. 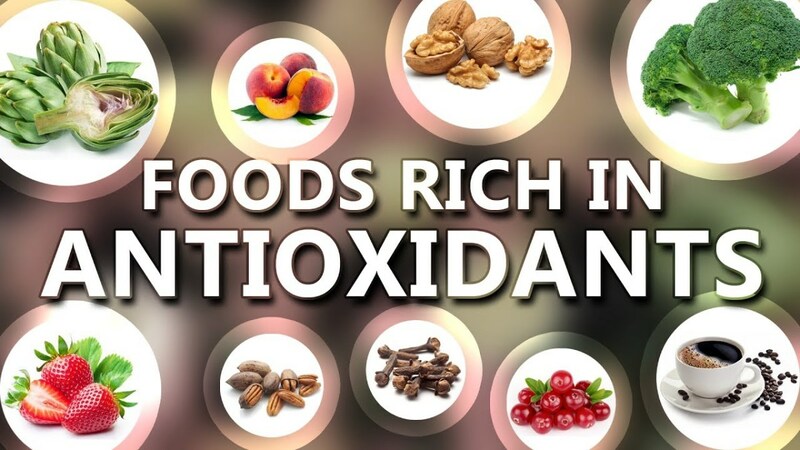 Aronia has an ORAC (oxygen radical absorptive capacity - a measure of an antioxidant's power to neutralize free radicals) value higher than any other food. This is due to the high concentration of anthocyanins and proanthocyanidins, both of which contribute to aronia's dark, almost black, color. I recently saw a 1-quart bottle of organic aronia juice (surprisingly unsweetened, so don't feel bashful about chilling it and sweetening it if it's a bit too tart for your liking), for $3.99 at our local Trader Joe's. Aronia berry "cocktail" (since it was sweetened and diluted) used to be available at CostCo under the brand name Wildland, but they discontinued their product after 2 years due to heavy price competition from Ocean Spray. I found aronia juice 100 % pure, not from concentrate, in Toronto area. They have site I think you can order online if you are in USA. My aronia berry inventory is dwindling! from all research i have seen..points out that the best way to consume this power charged super anti-oxidant is in the berry form. when the berry is juiced you lose a percentage of the benefits, around 15% less as compared to the whole berry..and as much as 25% if it is pasteurized, and in powdered form or freeze dried berries..i have seen reports that reflect as much as a 50% loss of the anti oxidants as compared to eating the whole fresh berry. When I see these kind of numbers, I think i will stay on just eating the fresh or frozen berries! The berries do taste much better after they have been frozen for awhile...and are great in smoothies!! Hi to all you healthy aronia berry lovers! isn't it the most awesome health food!!! Finished harvesting my berries about 4 weeks ago..big and juicy! been putting them in apple crisp, apple sauce and it seems to make the apple flavor pop right out in the dessert! Awesome! Starting a CSA and will be including apples and aronia berries in our food program! We have over 5,000 bushes now with more on the way! combine that with 2,200 apple tress...my what a combo!!! I purchased Pomegranate Juice at Aldi Supermarket. It is a combination of pomegranate, apple, grape and aronia juices. It's absolutely delicious and very reasonably priced... under $2.00, as I recall. I grow aronia berries in SW Iowa, and consume the berries all the time. I make aronia muffins, salsa, aronia-lemonade, even made aronia-pear leather (fruit roll-up) 2 weeks ago. My children eat them right out of the freezer AND right off the bush during harvest time. 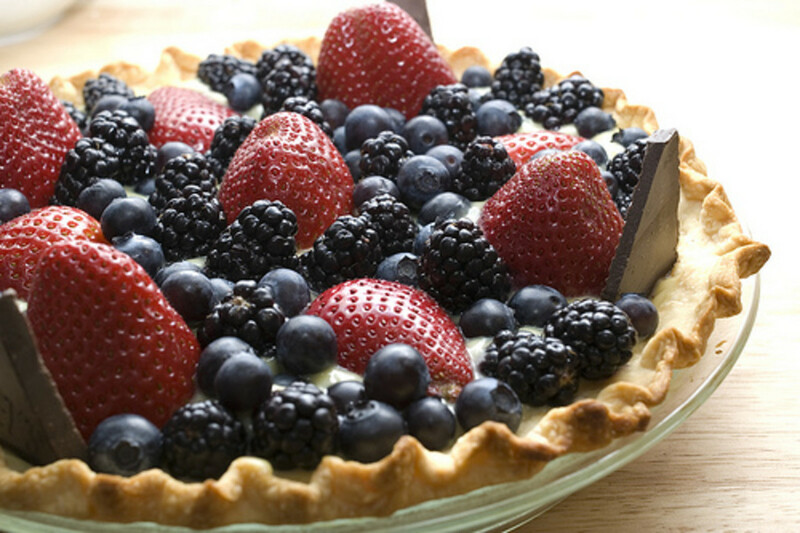 So, sooo berry good for you! I am a board member for the Midwest Aronia Association, and we are working hard to develop demand and supply here in the US for domestically and organically grown aronia. Loved reading through the previous comments, as I have met some of the posters at aronia functions! Personally I take a good quality Chaga extract when I want to do an anti-oxidant cure. Found a particular brand (Oriveda) that showed an ORACvalue of 146,700 units/100 grams, way way way higher than any berry out there. 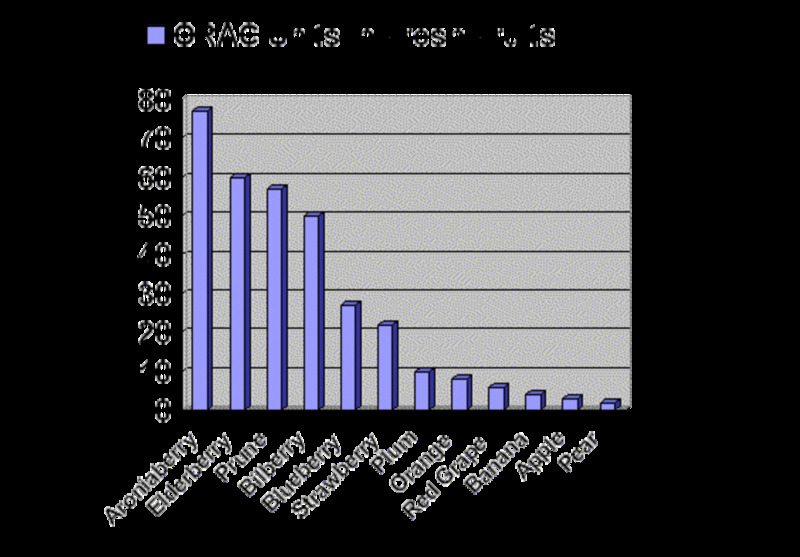 The guys even showed their ORACanalysis by Brunswick as proof, so its legit stuff. As said, I tried it and it made me feel better than in years, no flu, no hay fever as well. remarkeable!! Can it colour the stools with pink mottling? Bought a bottle of Pomegranate flavored juice at Rite-Aid. It has Aronia berry juice as one of the four juice ingredients. It is delicious and tart, but the first glassful gave me diarrhea. Maybe that is what I needed. just bought 15 bushes for planting on hobby farm in SD and at home in MN. I tasted an aronia berry pie last summer and haven't gotten it off my mind since. Can't wait for the bushes to start producing! Andrew - thank you so much for such an informative comment! I am a researcher with the University of Maryland. I have been researching Aronia production for over 5 years. 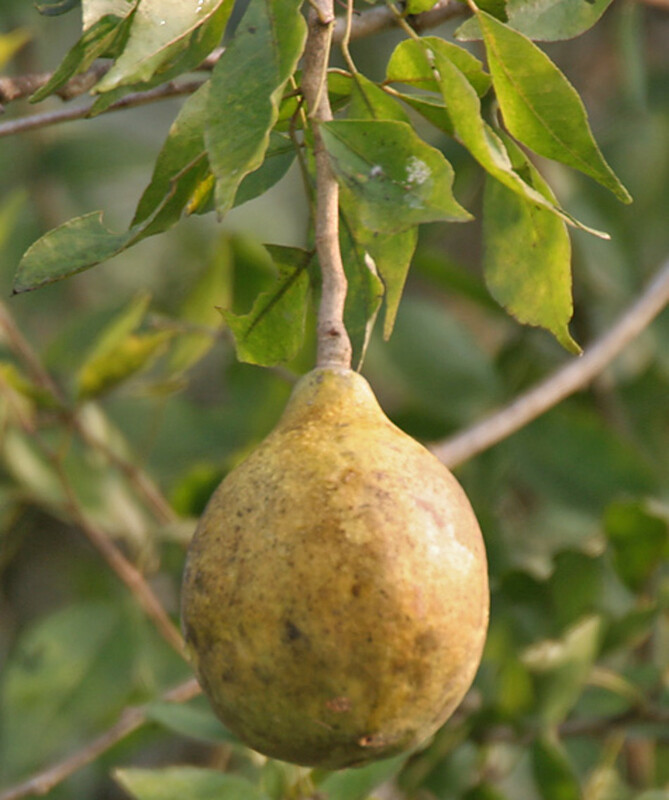 The fruit is easily grown anywhere in the US, so long as you have a cold season. The varieties "Viking" or "Nero" are popular and can be easily purchased from nurseries around the US. The plants will yield in two years or less after planting. The berries should be frozen after harvest. To get the best juice (without the astringent flavor) press after freezing...do not put is a juicer, the pulp is what's bitter. 16 lb of berries yields one gallon of juice. One plant can yield that quantity 5 years after planting. my uncle grows a aronia bush that produces LOTS of berries.I'm not sure how he does it but everything in his garden produces lots lol. The berries are deliciously tart and turn my tongue VERY dark purple...almost BLACK. I saw aronia powder on EBAY I already bought capsules from Swanson. I am wanting to get into raising the berry bushes on my prop. I have 50 acres in Ne. that is currently in hilly brome. Anyone having experience with farming and dristribution ? I purchased 2 aronia bushes from Raintree probably 7 or 8 years ago. The shrubs are hardy and survived the soutrhern MN winters without a problem. I have always left the berries for the birds but won't do that any more. The taste straight from the bush was not so good but now I shall be harvesting all the berries and combining with apple or pear juice. They are just what I need right now for health. Thank you everyone. Deborah-Lynn, marketing scam..keep it off for awhile and than bring it back in fancy packaging and mega promotion of all the benefits and kaching..they make loads of money. (puget sound wa. state) I ordered Aronia bushes from Raintree Catalog a few years ago and now have 7 producing bushes. Raintree noted in the catalog that it is "the most productive fruiting plant in captivity" and I must say they're right. I don't have trouble with plant diseases or fungus or anything and the birds don't like them so you don't have to protect the fruit. I've been making my own aronia juice for 3 years. i add a very small amount of sweetening. It's wonderful stuff. I suppose it's the placebo effect but I feel it has a mild, refreshing mood altering effect, like a very small amount of alcohol or being up in the mountains breathing alpine scented air. Very interesting. I great read and the health benefits are worth drinking it for. I think I will have to find Ariona somewhere here in UK. If you want to find Aronia easily go to any Polish deli or if you are in the hinterlands and that's downright ridiculous, try a large chain supermarket and go into it's Eastern European section (like Wegman's). You will find it easily and it's equal, Black Currant juice, which will make you sing with joy. 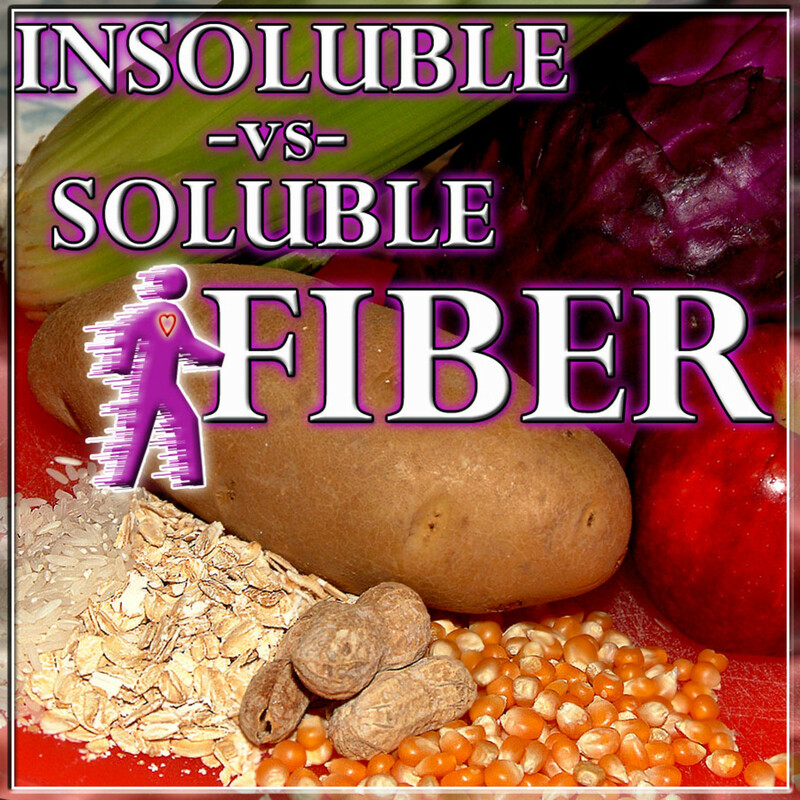 They are both superfoods, and really need to be included in the American, all-too-unhealthy diet! Sing their praises!! Trade Joe's used to carry it, but has discontinuted it since early 2008. I have written them couples times for re-carrying it, but no good news yet. my mom and I tried it and for a year. it is very good benefit in terms of blood sugar stabilize for my mom. My husband and I own a winery, Lake Effect Winery in Muskegon, MI. We have heard of the health benefits of the aronia melanocarpa, or chokeberry. We produce fruit and berry wine and have produced aronia-blueberry wine. 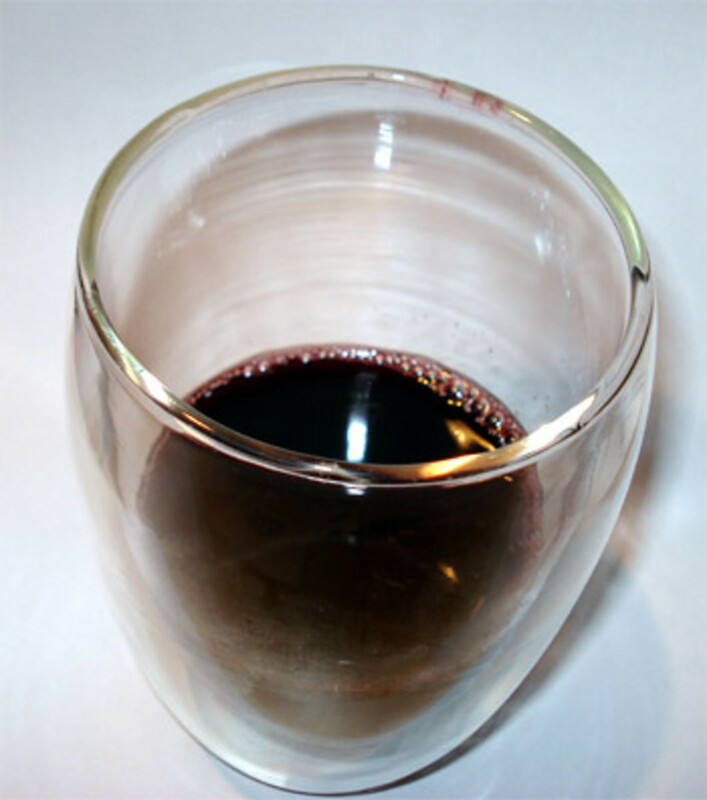 We also do not add any sulfites to the wine and have decided to make it a semi-dry wine. We have been pleasantly surprised with the finished product. This wine, we have been told by other wine drinkers, reminds them of a cabernet. My husband loves this wine and drinks a glass every day. 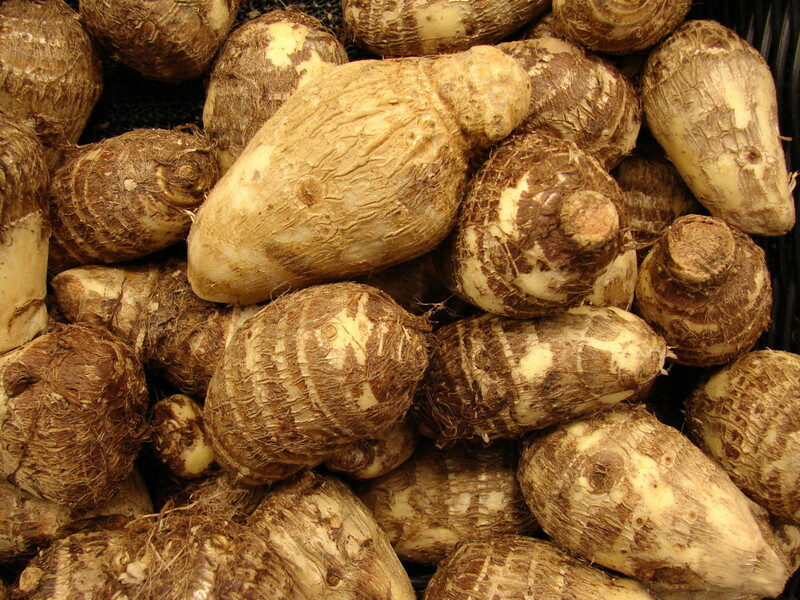 He has lowered his cholesterol and triglycerides a tremendous amount. They are all now in the normal range. His doctor wanted him to go on a cholesterol lowering drug, but decided to wait and try this first. Well, last physical, his doctor was astonished by the amount his cholesterol and triglycerides were lowered. As any glass of red wine is good for you, as has been proven, why not drink a red wine made with fruit richer in anti-oxidants. We have now opened up a tasting room in Grand Haven, MI where we hope to sell a lot of our fruit and berry wines. We have been selling wholesale only to retailers up until now. If you are in the area, please do come in for a free tasting. You may be pleasantly surprised. I am a dissabled trucker with land in Fort Gibson, Ok. and have been planting many fruit trees and blueberry bushes along with thornless and thorned blackberries and rasberries, and I would like to plant some Aronia Bushes but I have about deleted my funds to do this planting. I would like to see if anyone can tell me of a place where I could buy some realitively cheap plants. I am not sure but I am told I can get started with seeds but I don't know where to get the seeds either. Any help in this matter would be greatly appreciated. I make homemade wine out of it. It's great! hello. i`m from Croatia and have planted Aronia farm. soon my web site will be working and this year we`ll have first harvest of Aronia. We produce 100% eco fruit. soon we will also have jams in our offer. so check our website now and then to get fresh news and more information. had I aronia berry in Latvia could eat after first frost.now I live in uk when my aroni berry can be ready .try last year october phee wasn't ready at all? any answers? I recently purchased a bottle of 100% aronia juice&lt; and I drink a glass every day. I already noticed a difference in my body and I feel much healthier. My husband an I purchased 3 small Aronia berry bushes from Raintree Nursery in Morton, Washington about 4 years ago. They are now 5 feet tall and produce an abundant supply of dark purple berries. It's great because they all ripen at the same time. We harvest them all by hand, which is quite time consuming. I wash the berries and put them in a steamer on the stove top. Last year I canned 24 quarts of pure juice from our harvest. When I serve it as a breakfast juce, I put equal amounts of aronia and apple juice in our glass. Serving it that way adds a little needed sugar and makes it more drinkable. Aronia juice by itself has a rather dry, bitter taste, but the health benefits are enormous. ANYONE LOOKING FOR ARONIA BERRY BUSHES - I PURCHASED 5 LAST FALL AT LOWE'S FOR ONLY $10.00 EACH. LOOKING FORWARD TO MY HARVESTS. If you have some room in the garden I highly recommend planting some Aronia melanocarpa (chokeberry). They come in a compact form (3ft) to standard (5 to 6ft). Came across this site after researching the ingredients list in a store-brand 100% juice I bought. Cranberry-Pomegranite-Blueberry, so I was curious. Think I have some growing in my back yard. It's January, 2009. Last night I found Pomegranate juice at Food Lion in Maryland. It was 100% juice, but a blend of Pomegranate, apple, and aronia juices. Very tasty. I just came to this site to find out what aronia juice was. My dictionaries didn't have the word in them. Is this some type of hybrid plant or is would I find it under chokeberry in the dictionary? It only cost 2.99 for 2 quarts of this juice. Doesn't specify, but lists aronia concentrate before blueberry concentrate in ingredients. eureka: Is the aronia a significant portion of the juice content? I've seen quite a few drinks that add a little aronia for color, since it has an intensely purple color, but probably too little to lend color or healthful benefits. Ruby Kist brand has Pomegranate Blueberry 100% Juice Blend which includes Aronia. Great, healthful combination! http://www.forestfarm.com/search/closeup.asp?Plant... was VERY disheartened when Trader Joe's stopped carrying Aronia juice. Whole Foods DOES NOT carry it and in the midwest, CANNOT order it. I worked at a Whole Foods store and know this from personal experience. If anyone has found the juice anywhere, I'd love to hear about it. I personally can't order a bush, I've got no space for it. I'd love to find some actual juice at a reasonable price. 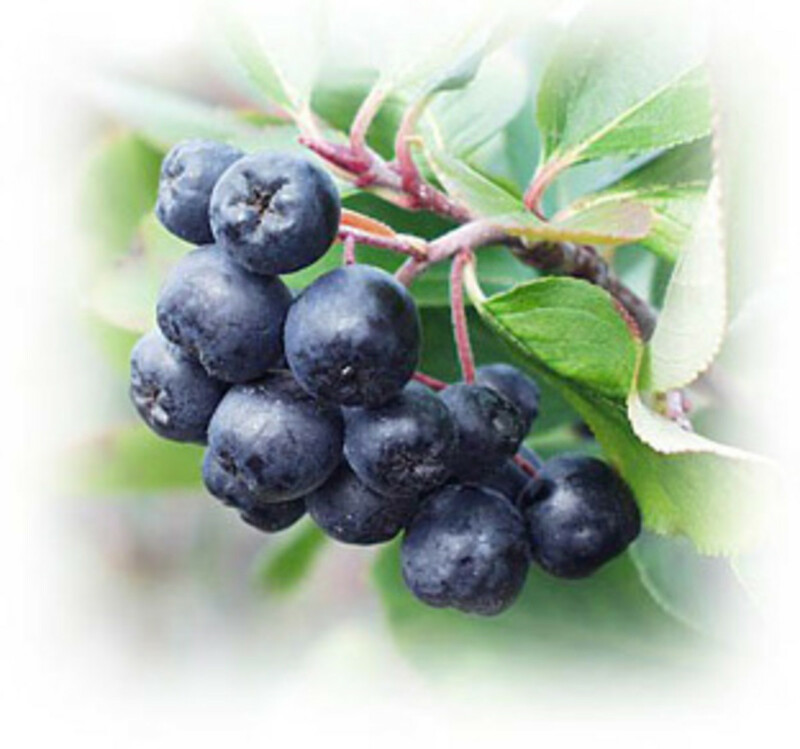 We are an organic family owned aronia berry farm located in Central Iowa. We are growing these berries commerically to provide true American grown organic Aronia Berry products to consumers. (No more dried from Germany or Poland)There are many ways to drink Aronia Berry juice without adding sugar. We recommend 8oz a day. Berries can be grown at home and harversted in Late Aug and September, frozen year round at home and made into a juice as needed. Each family member should have their own berry producing plant. This will create approx. 10-20 lbs per bush. Put berries in cookies, pancakes, scones, jelly, juice, wine etc.. I am a clinical RN studing the benefits of these Berries and the results are mind staggering and outstanding. The data is clear...these berries are the best antioxident fruit on the planet with no side effects. We will have a harvest in September 09 so be watching the internet for our new website and information. We also will be selling fresh squeezed juice at our location on a daily basis starting in last Aug 09. So please come to Iowa! Thanks! We have two aronia berry plants in our front yard, by the sidewalk, no one takes any either because they don't know what they are or because the berries taste kinda' yuk. This year we have started making juice with them. How does one know when they are ripe? I live in Washington state near Seattle and the bushes take no care and produce large quantities of berries. I wrote trader Joe's.They discontinued Aronia juice.In Feb 2008 they told me at the Palmdale store in Ca.So I bought 8 bottles they have in the store.I try every where &amp; so far no luck.I urge others who wants Aronia 100% juice at good price please contact Trader Joe's by e mail,phone or in person.I also want you know this juice is number one cure for varicose veins. Chokecherry and chokeberry are not the same things. Aronia/Chokeberry are not really enjoyable edible right off the shrub. TOO BAD, because they're so healthy for you and it's a very easy shrub to grow in my Idaho, zone 5 garden. Kathy - Interesting question. I would imagine with plenty of sugar, or sugary fruits like apples, might make for a very delicious pie or jam. I would imagine they'd pair up similarly as blueberries, although they are far tarter. I have some Aronia Berry bushes planted in my garden from the previous land-owner. They seem to thrive here in the Pacific Northwest. Thanks for the clear photo of the berries in this article. Great article. Should drink some. I didn't like the taste the first time. But if it's that healthy I should try again. This is a follow-up to previous complaint about Trader Joe's no longer carrying aronia juice. I received response from an Amy who wrote, &quot;We have discontinued our Aronia Juice due to slow sales and we have sold through all existing inventory....However, we have forwarded your comments and a request to the Category Leader for reconsideration.&quot; There is much discussion on the Internet about aronia (by those who know or have recently become informed) and where it can or cannot (now) be obtained - Trader Joe's was once hailed as a good source. My post 5 weeks ago informed this site that it was no longer - https://hubpages.com/health/aronia A woman in So. Calif is sponsoring aronia berry plant giveaways just so those who want aronia juice and are willing to make their own can do so. This link goes to post she made a few days ago at the newsgroup sci.life-extension, also carried through Google Groups: http://tinyurl.com/yva9vd Her website directly: http://www.eatpurple.org/ I do hope that Trader Joe's management will review their previous marketing practices for their 100% aronia juice (no sugar added) during their process of considering whether to return it as a stock item. Please note that the Tempe store manage told me and my husband that stock of aronia juice in that store always sold very well and that he was surprised to learn that it was being discontinued. If numerous other people will do likewise, it's possible that the Trader Joe's management can be persuaded to once again carry this extremely nutritious juice. Also be aware that an aronia juice sold by Sophia Foods in Brooklyn contains added sugar which is not something one can currently tell by their website. We bought a case - only received 8 bottles out of 12 paid for due to poor packaging of shipment - and then found each 240 ml serving to contain 32 g of sugar vs 12 g for Trader Joe's. Citric acid is also added to this Sophia Foods aronia from Poland - it's really an aronia &quot;drink&quot;, not a juice because of the added sugar. Those able to obtain the aronia plants offered above may find the cultivation and juice production an enjoyable way to obtain the value of aronia. &quot;Stuck&quot; eating peanut butter? To me, it's like a drug. The Europeans (except the Dutch, who eat it too) don't know what they're missing. :) Don't remember Irish chocolate but I'd imagine it's great; the Brits make terrific (milk) chocolate too. I wish to add, Irish chocolate is the bomb. I had a friend visit from Dublin a few years ago and he brought me some and you are right, american chocolate does not compare. I used to have a favorite cheese you could buy at Hickory Farms (back in the day) called Mont Saint-Beno&icirc;t that came from Canada. It got banned in the U.S. though and I couldn't get it anymore. Definitely has a unique flavor - a bit pungent. Another alternative that is nice but very, very richly flavored is blackcurrant juice (cassis in French); probably a bit easier to find. It apparently was banned in the US until very recently so we Yanks never really developed a taste for it like Europeans have. never heard of it, but it sounds fantastic. I like blackberries and blueberries fresh, so it couldn't be bad on a bet. Doubt I can find locally though. :( I shall look, however. I'm glad you can get it! We don't have SuperFreshes or Giants here, and it appears TJ's doesn't carry it anymore. I read this hub awhile ago and when I saw aronia juice the other day in my local supermarket, picked some up--very tasty--a bit pricy but really good--thanks for the tip LL :-) BTW I bought it either at Super-Fresh or Giant--can't remember which. Thank you, Kitty - I had noticed that I stopped seeing aronia juice on the shelves for a while. I thought they had just run out. I'll contact TJ's and beg them to reconsider. So I urge others who want it available and at a very good price - contact Trader Joe's by email, phone or in person. Larry - good luck! That sounds exciting. Is chokeberry and chokecherry the same thing? Southern Idaho mountains have a lot of what I have known as chokecherry. I even got some chokecherry plants from the Home Economist office under the University of Idaho. The &quot;cherries&quot; make wonderful jelly and syrup and even wine. As a subscriber, I read your hub when you first posted it and was pretty sure I had seen the berries growing where I've fished in Oregon. I contacted a friend and he confirmed my belief. I was pretty sure I was right, since I'd tried some once and they live up to their name. My friend has the property and we are contemplating a joint venture. We've worked together before. We never know where life will take us, most of the knowledge and adventure comes with hanging on and enjoying the ride. Thanks for the article. These are definitely interesting facts. I will be consuming berries in significant quantities from now on. Kay - if you're not near a Trader Joe's, then I'd try Whole Foods, Wild Oats, or your neighborhood health food store. They should at least be able to order it for you. Thanks, livelonger, and now I'll have to find out whether it's blueberry or Aronia that I had a plateful of. I usually take my fruits raw, and love having a blue tongue! Atleast, as kids we all did. Thanks, everyone. William, yes you can buy it at Trader Joe's if you have one in your area. (www.traderjoes.com) Kenny, it will turn your tongue purple, but not as badly as blueberries. (Although it might be worse if you eat the raw berry, which I've never tried). And yes gamergirl, fresh fruit is usually best but in the case of anthocyanin-rich foods (blue &amp; purple fruits, like dark berries), there doesn't seem to be much of a difference (http://www.pubmedcentral.nih.gov/articlerender.fcg... That's not the case when it comes to vitamin C, for example. very good information...Thanks for sharing! Sounds good. Is it available commercially in the U.S.? I've actually heard tonight on the John Tesh radio show that eating/drinking 100% natural (not from concentrate) fruits which are richer in color provides more nutrients than other fruit consumption. Wonder if its available in India. Is it the one that turns our tongues blue? I ate a plateful of that after reading an article about taking in all colours of food. Thanks, wajay! I do know that some avocational horticulturalists like to grow aronia, known in gardens by its English name, chokeberry. Very Informative hub, Livelonger. I wonder if the plants are easy to raise, since I don't have a green thumb. Nice hub, as usual.